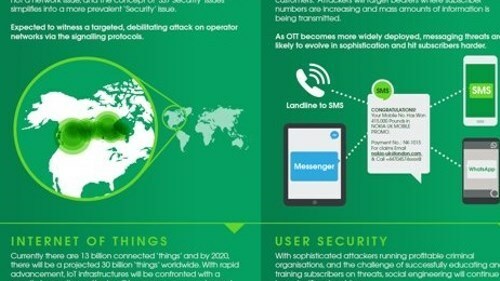 We may be in an age increasingly dominated by software developments and virtualization strategies, but nothing in the communications networking industry's going to work without the efforts of the components developers. Chips are still very much on the menu. As ever, we received a varied and compelling set of entries from companies seeking to win the prize awarded to "the components vendor that stands out from its competitors, innovates constantly, helps set the industry trends, makes investors proud, and makes employees happy." The winners of all 24 Leading Lights awards and the three Women in Comms awards, as well as the identities of this year's Light Reading Hall of Fame inductees, will be announced at the fantabulous Leading Lights dinner/party, which will be held during the evening of Monday, May 14, at the Brazos Hall in Austin, Texas, following a day of pre-BCE workshops. Then, the morning after the awards party, the doors open to this year's Big Communications Event (BCE) at the Austin Convention Center. 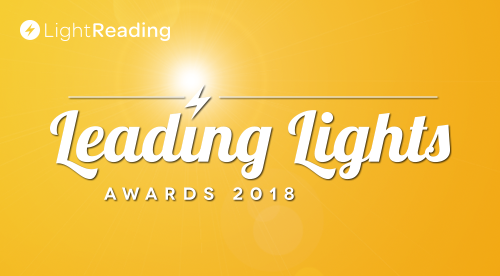 To find out which companies were shortlisted across all of this year's Leading Lights categories, please check out Leading Lights 2018: The Finalists and Congrats to 2018's WiC Leading Lights Finalists. So, let's take a look at why these five companies made the shortlist. 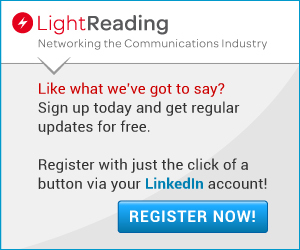 Acacia is one of the hottest names in the optical components market and has been pushing the boundaries of 400Gbit/s developments for a couple of years. Its coherent optical transmission technology uses modulation to transport increasing volumes of data traffic over fiber connections and has been hitting the mark on flexibility, high bit-rates and performance metrics. In addition, it has been using silicon photonics to make open up the use of coherent optical interfaces in a broader range of applications and, combined with the vendor's own DSP technology, its silicon photonic integrated circuits (PICs) are at the heart of systems that enable telcos and data center operators to add capacity at increasingly more affordable rates. Champion ONE is one of the optical components companies pushing forward with open networking components that enable disaggregation in the transport systems market. In addition to expanding its portfolio during the past year, to include 100G 4WDM QSFP28, 25G SFP28 and bi-directional CWDM SFP transceivers, the company launched a line of white box switches, including a 100G product. The company has also collaborated with NTT on its 'Coherent DSP meets open transport SDN' optical transport white box project, which was presented at this year's OFC. For that project, Champion ONE is providing coherent 100G components. It also collaborated and innovated with a local operator in Louisiana, CP-TEL, to develop and deploy a fiber-to-the-premises (FTTP) access network "faster and far less expensively than the service provider’s Network Equipment Manufacturers (NEMs)," the company boasts. 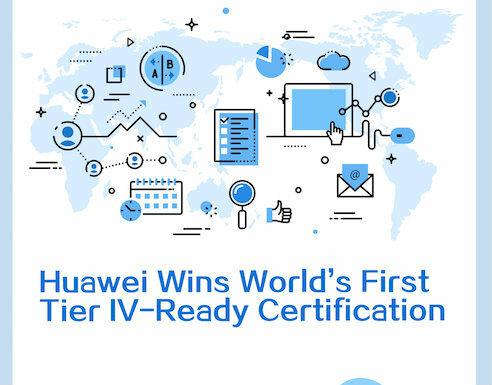 Such efforts have earned it a Net Promoter Score of 73, "which far outpaces leading NEMs in the industry," and a low staff turnover rate (less than 5% for three consecutive years). MaxLinear is addressing a specific niche of the next generation broadband access market – the challenge of delivering high-capacity wireless connectivity to buildings with low-emissivity (low-e) glass that is designed to block infrared and ultraviolet light (a positive attribute) but which also blocks high frequency wireless signals (a negative attribute). The company's AirPHY technology is designed to deliver wireless connections of up to 2.5 Gbit/s through low-e glass and other typical building materials. That may sound very niche right now, but with a 5G world fast approaching and 60GHz WiGig services being considered, such capabilities could help tackle a potential bottleneck at the edge of the network. The AirPHY modem integrated circuit (MxL210x) transmits within unlicensed radio frequency bands and, importantly, below the FCC limits for radiated emissions. MaxLinear has also demonstrated an AirPHY solution that delivers Gigabit symmetric data throughput and up to 25 watts of wireless power through a 25mm low-e glass window. The modem delivers the high-speed wireless service from outside the building to a gateway or Wi-Fi router inside the building, enabling the delivery of high-speed wireless broadband services to buildings that can impair broadband service delivery without the need to drill holes or impact building infrastructure. AirPHY has been demonstrated in partnership with Airgain, which deployed the technology alongside its compact window-mounted antenna module to show that it can wirelessly transfer data at a bandwidth of more than 2 Gbit/s. In addition, Zinwell has developed an AirPHY-based product for its ZRA-001 family of residential wireless solutions. That deal followed a year during which Microsemi, which develops chips for the aerospace and defense as well as communications and data center markets, reported record full year revenues of $1.8 billion. It also launched its DIGI-G5 OTN processor, which delivers 1.2 Tbit/s of combined OTN and client interfaces and was early to market with a range of Ethernet products for the 25 GigE, 50 GigE, 200 GigE and 400 GigE markets. The company has also had success with its PolarFire FPGA in the comms, IoT and industrial sectors, and launched the AcuEdge Development Kit to bring Amazon Alexa voice services to the IoT market. Source Photonics caters to a number of key markets in the comms networking and data center markets, but has focused specific attention during the past year on the increasing capacity requirements of data center operators by developing a product that can help move the market on from the 100G QSFP28 modules used in switches -- and quickly. Its 400G QSFP-DD FR8/LR8, boasts the company, "provides the quickest and lowest risk path to deploy 400G optical interfaces for single mode fiber by leveraging a mature 25Gbaud platform compared to the yet-to-be-productized 50Gbaud platform." In addition, such a design "provides backward compatibility with QSFP+, QSFP28, and QSFP56, allowing users to leverage their investment in modules across multiple generations of equipment deployments," something that is not to be found with OSFP modules, claims the Source Photonics team. 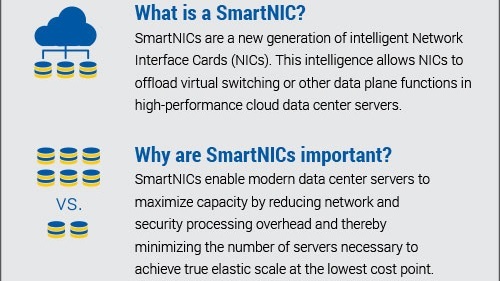 In anticipation of demand, driven by the unrelenting increases in data traffic volumes, the company has been expanding its capacity and is ready to serve the next wave of data center infrastructure upgrades.